Louise Reohr, our beloved colleague and friend, passed away on August 25, 2017, after a long illness. We miss her greatly. Louise was Born in London, England and graduated from Cambridge University with Honors and graduated with distinction from the College of Law in London. Her early career was spent as a solicitor with Lewis Silkin, a firm with one of the leading employment law practices in the United Kingdom. 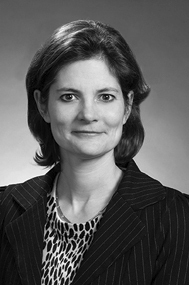 Following her move to the United States Louise was an associate attorney with Ropes & Gray and, from 2012 until her passing in 2017, with Bello Welsh. Louise was the consummate professional, always exhibiting a calm demeanor, friendly disposition and sharp intellect. Her analytical talents were impressive and her interpersonal skills were outstanding. We feel blessed to have had the opportunity to work with Louise.